Kickzone St Francis College – Brooklyn City F.C. In Fall 2017, Brooklyn CIty F.C. will run a Pre-game "Kickzone" at all St. Francis College soccer home matches to be played at Pier 5, Brooklyn Bridge Park. Free to the community and all kids attending St. Francis College home games, the KickZone will provide a fun positive environment for kids to play, before watching a high-level Division 1 college soccer match. Both Brooklyn City F.C. and St. Francis College share a common goal of offering the game to the community for all to enjoy, both as a player and a spectator. 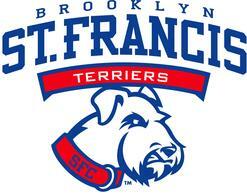 Visit this announcement from St. Francis College for more information about Brooklyn City F.C. 's role in launching this initiative!